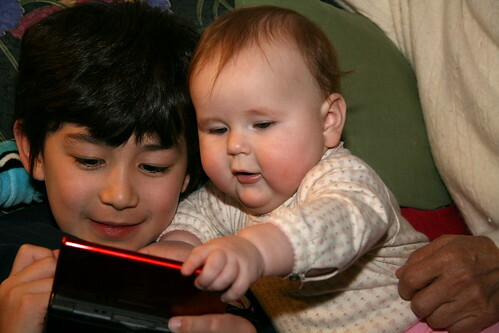 mommy bytes: Babies Love Nintendo DSes Too! 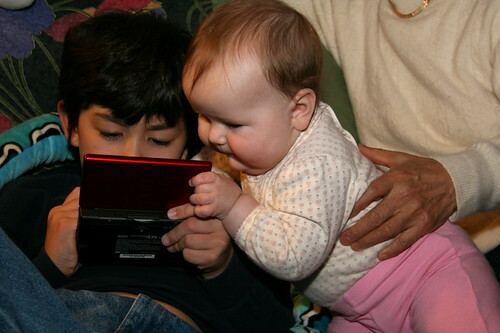 Babies Love Nintendo DSes Too! 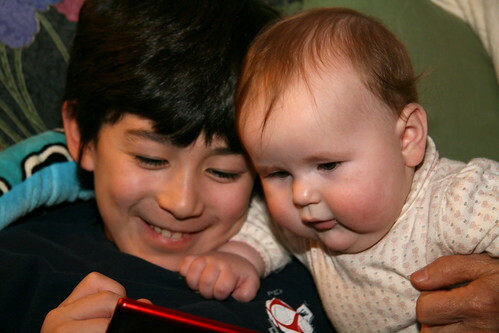 We had a visit from my favorite baby cousin, who has grown from precious newborn to cuddly baby to a crawler in seven months. 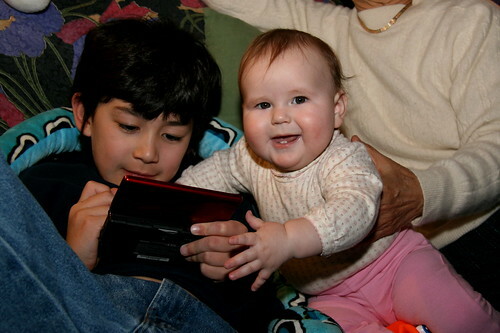 She caught sight of Adam playing his Nintendo DS and wanted in on the action! "Let me get a better look." "Give me that mesmerizing toy!" "I mean it, give it to me!!" "Can I have it if I smile?" 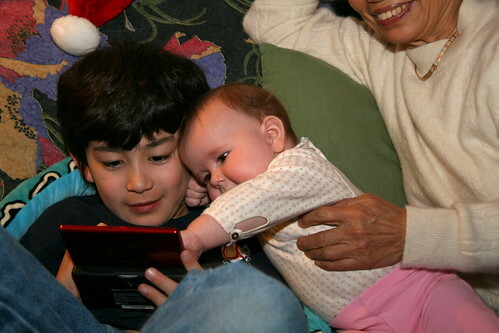 One thing is for sure, babies grow up way too fast. 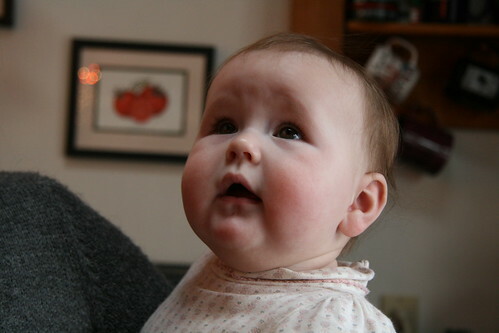 Just look at those cheeks and eyes!